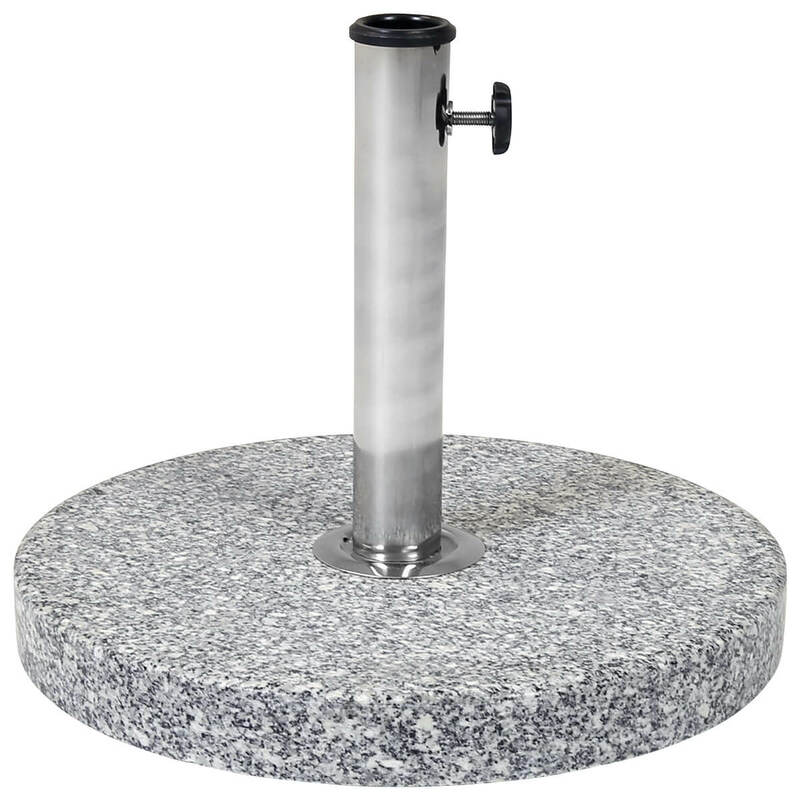 Crafted with a beautiful granite finish, this round umbrella base will add a stylish touch to any garden furniture set. With a solid construction, you can ensure that your parasol will be kept secure in windy conditions. 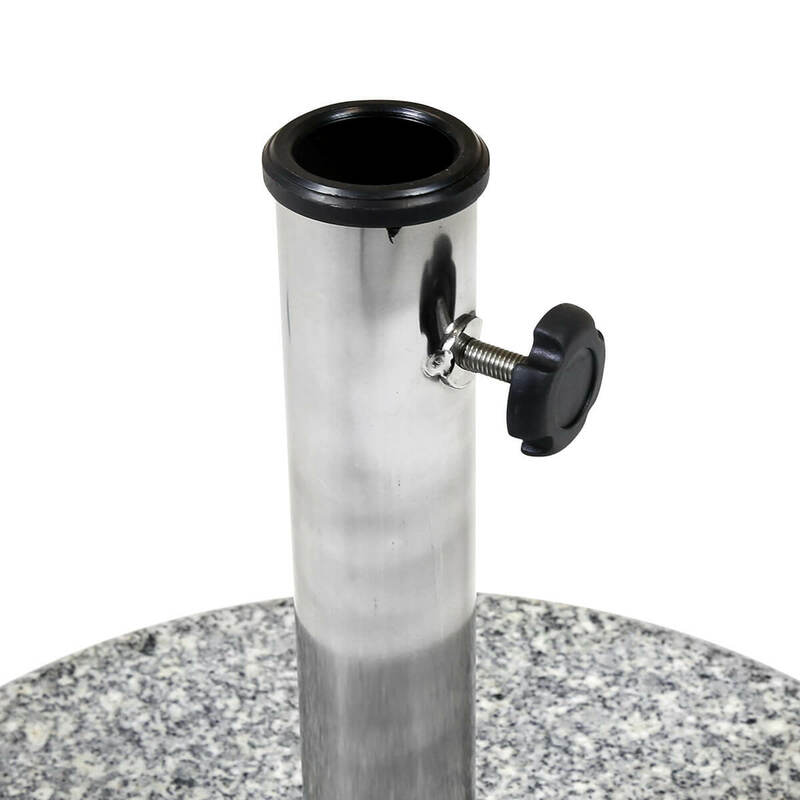 Simply tighten the side screw, to hold the umbrella safely in place. 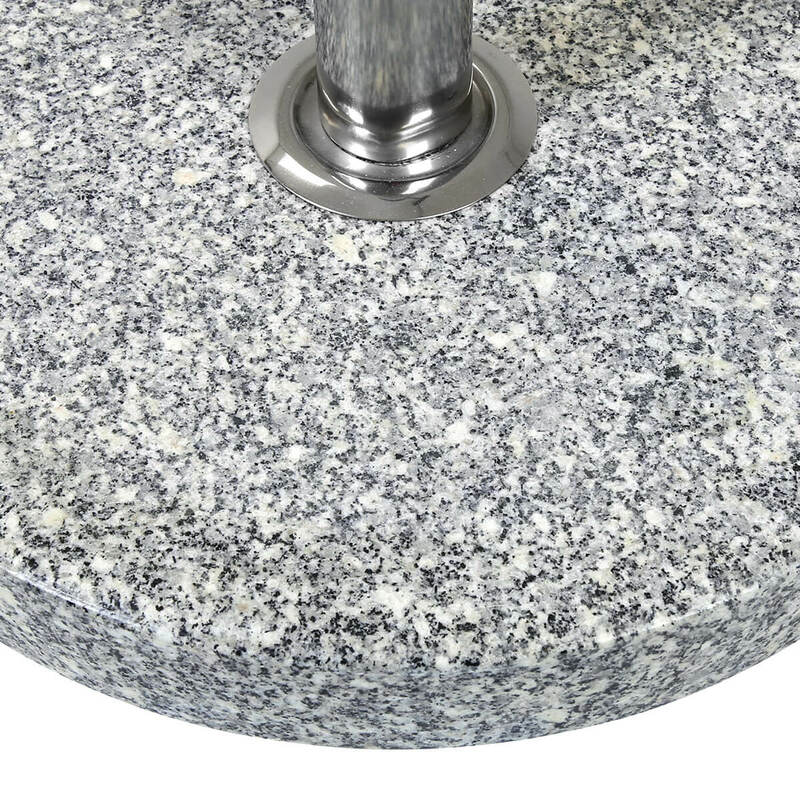 Finished in a natural grey tone, this granite parasol base will complement any parasol.